It’s been an interesting month during which, wherever I turned, there seemed to be a focus on voice. Will decline from their 30’s due to thinning and drying of the vocal cords. That’s why elderly men can sound high-pitched and raspy. Deepen slightly after the menopause due to a lack of oestrogen, then get higher as they age further. The average pitch range has deepened slightly in the last 30 years, perhaps reflecting women’s more authoritative roles at work. Sing in the shower! Steam hydrates the vocal cords. Don’t shout or whisper. Both of these put stress on the cords. Exercise your body. Lung function is vital for the vocal muscles. Exercise your mind. Keep the neurological messaging between the brain and the voice box lively. Stay socially active. Speak to people! As well as this article there was a piece on ‘Presenting’ on Radio 4’s ‘Womens Hour’ featuring two ex-Apprentice competitors and also a discussion on what voices everyone liked on ‘Mid-Week’ (Radio 4). I often ask audiences when I’m speaking about the voice to think about their favourite voices and WHY they like them. You can then make decisions about how YOU want to sound. 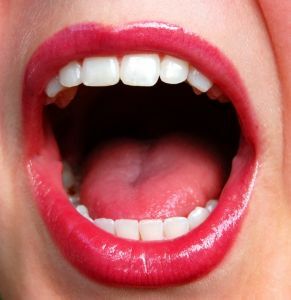 Remember, your voice is very flexible and you can stretch it in many ways to achieve your ideal communication tool. Trained 25 ladies at the Soroptimists East Midlands Regional meeting. Spoke at the NRG business lunch in Coventry. Travelled for my birthday on the Settle – Carlile railway! You probably know about my new half-day courses at bargain prices which are now booking for Autumn. Find out how your voice can influence others by clicking HERE for Leicester or Solihull. Well you can’t get a higher endorsement than that! See you next month.